Living is a folding console table realized in melamine coated wood available in 5 finishes with metal legs and details. 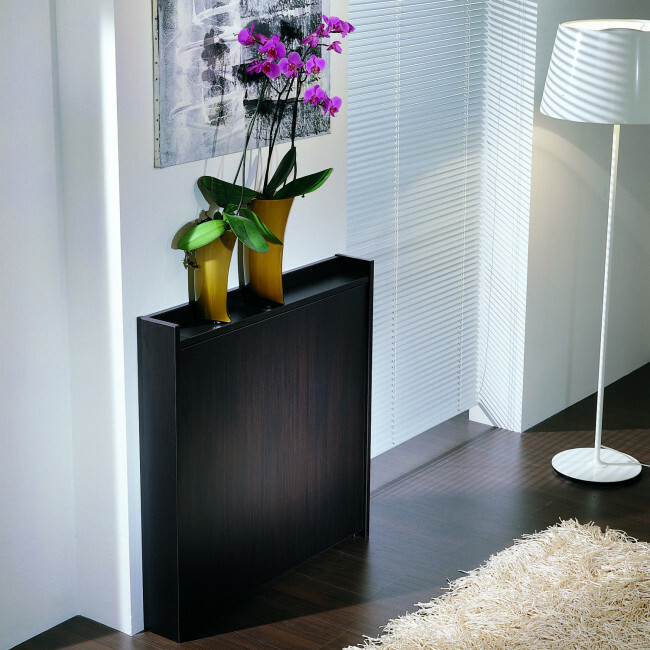 It is a wall console table with a small encumbrance: when it is closed it has a depth of 13 cm. When needed the drop-down top can be easily opened with few simple steps up to reach up to 83 cm. If placed inside the kitchen it can become an useful top for the breakfast or a speedy meal. Living is ideal inside small houses or one-room apartments, as it allows to optimize the space according to the needs of the moment. 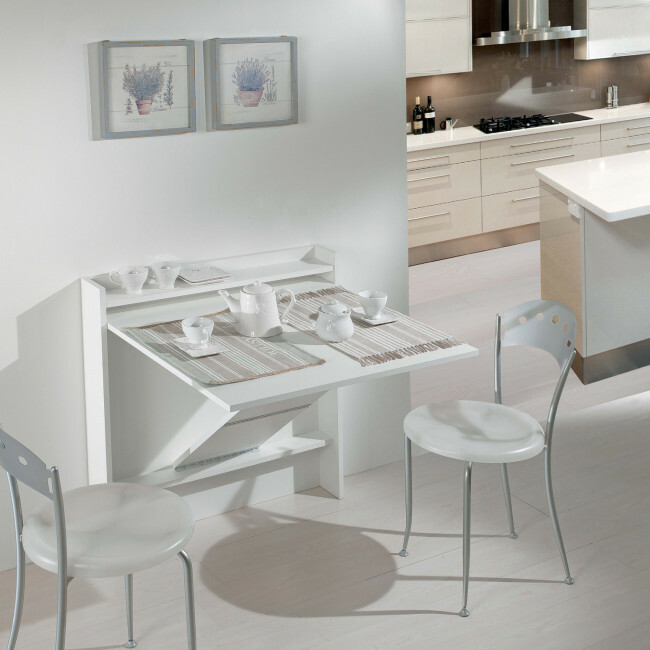 Living is a convertible console table, ideal to optimize spaces. Living can be customized according to finishes. You can find all customization possibilities by using the configuration menu.